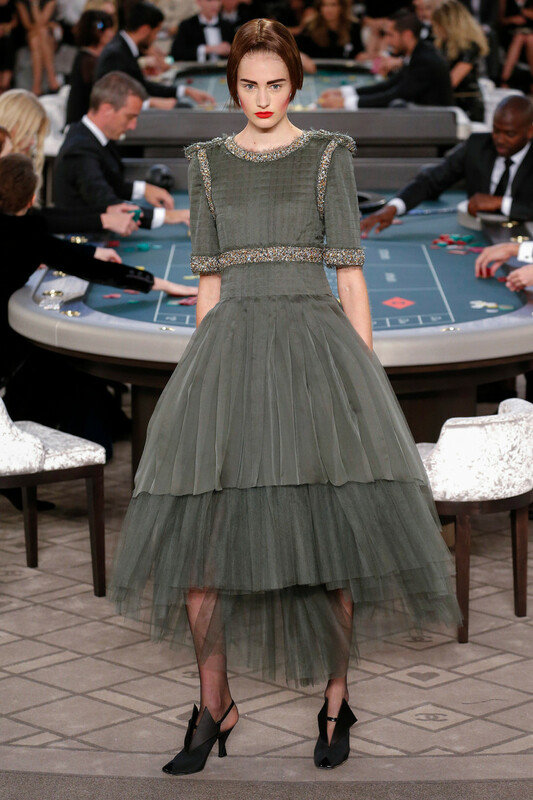 “I gamble with collections more than ever”, Karl told Style.com after his latest haute couture show. 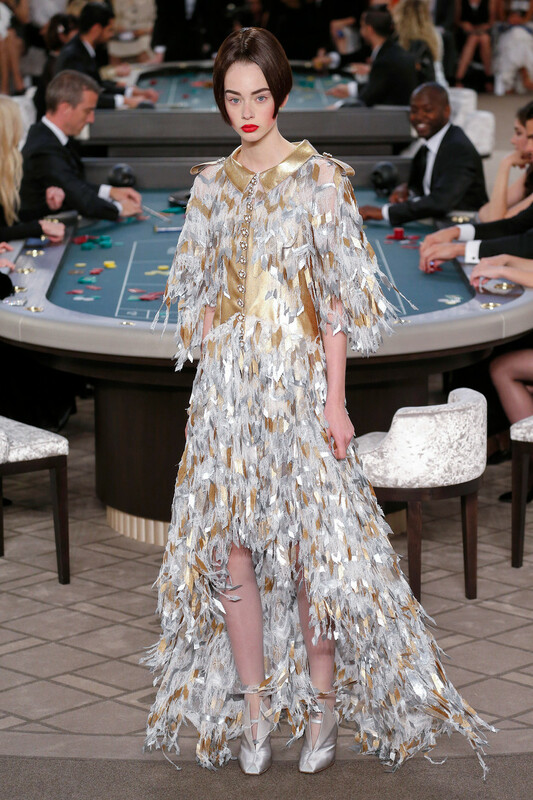 And so he decided to turn the Grand Palais into a casino and invited celebrity friends like Vanessa Paradis, Julianne Moore, Rita Ora and Kirsten Stewart to take their chances, dressed in customized Chanel couture gowns, of course. 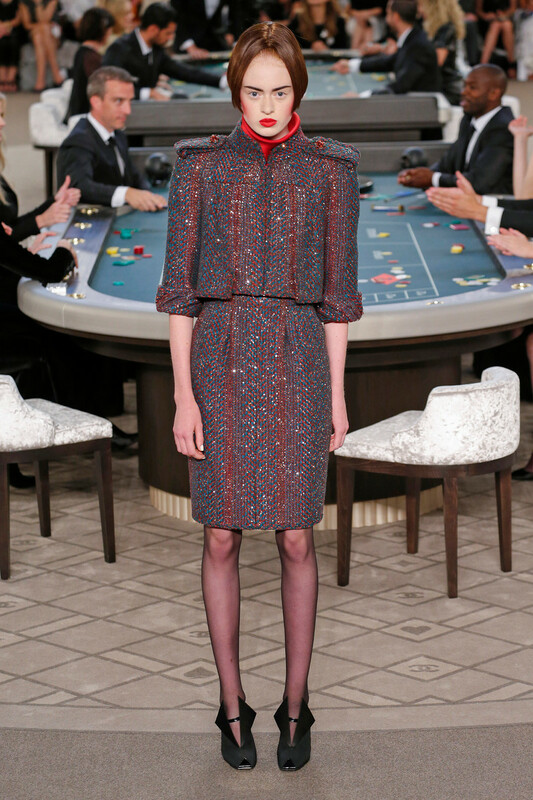 Then in came the models in their tweed suits, outer space hairdos, red lips, red cheeks and heavy eyebrows to match. 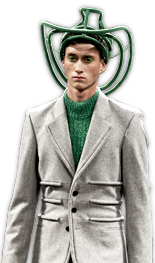 Epaulettes drew our eyes to the shoulders of the box shaped suit jackets. Nothing too shocking apart from the fact that Karl got some extra help on the sketching and cutting. Not because the designer is getting lazy, but because he’s always one step ahead of the trends. So it won’t be long before we wear quilted tule dresses with crystal embroideries. Or sparkling flapper dresses with standing collars. Not to mention that structured pale pink and black overcoat. 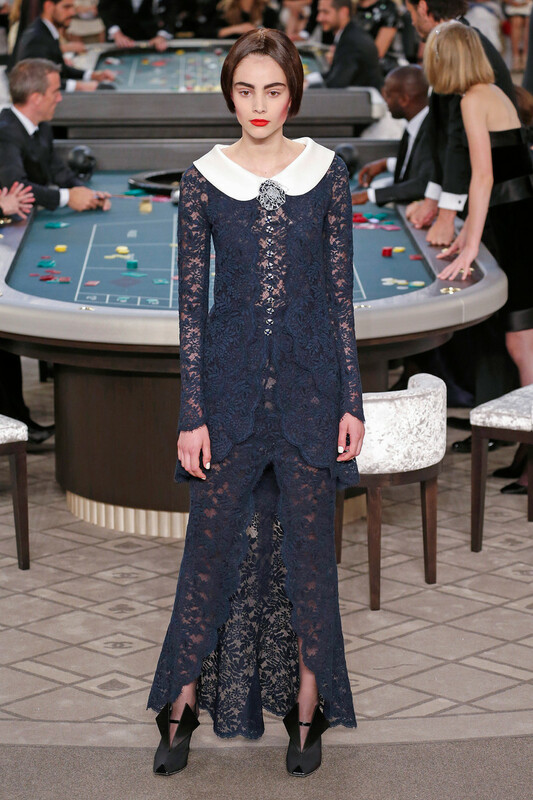 If it’s up to Karl we’ll soon wear white suits and a veil to our wedding. 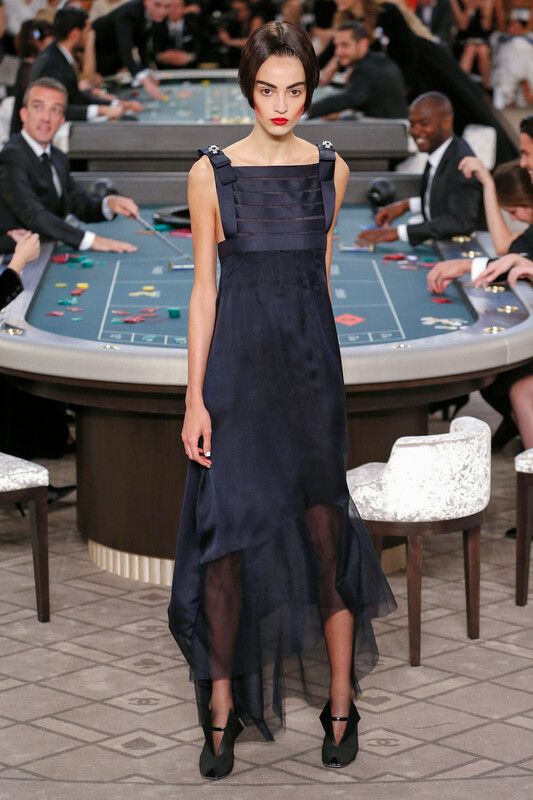 He conveniently got Kendall Jenner, daughter of recently turned transgender Caithlin Jenner (before Bruce Jenner) to show how that genderblending wedding thing goes as she put an end to an early morning of roulette.